How do you get a job in craft beer? Hard work, talent and education go a long way, but a little luck doesn’t hurt. We asked people in the beer industry to tell us how luck played a role in landing their dream job. 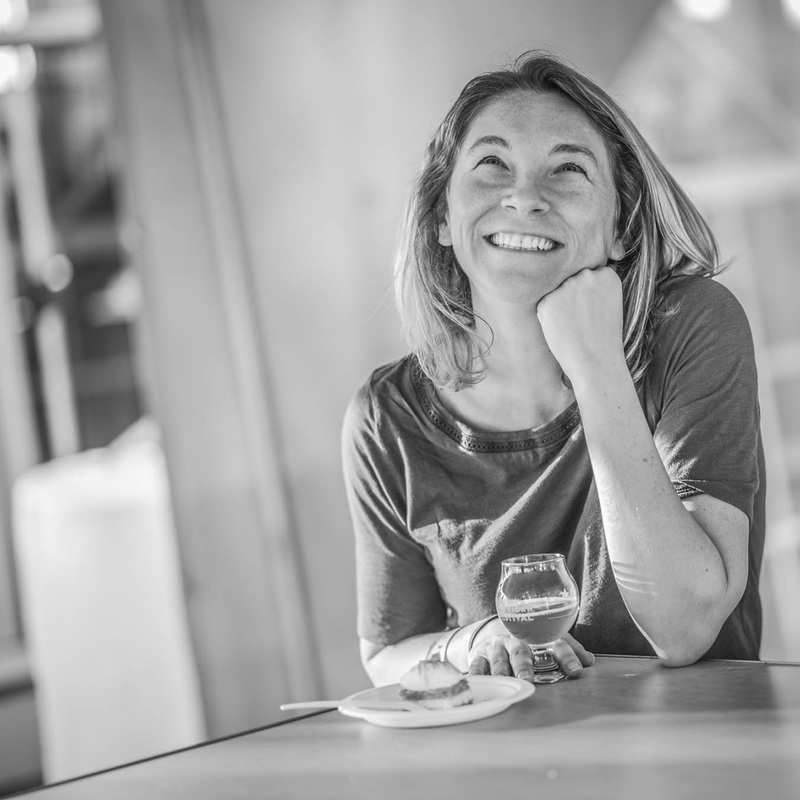 From being in the right place at the right time to a chance meeting on Twitter, here are nine stories from people who work in beer. Dean Priebe, Brewmaster at Icicle Brewing: In 2008, I was a humble homebrewer who won 1st place with my Robust Porter in a Seattle homebrew competition. In July, Pike Brewing Company offered to brew my Robust Porter and enter it as a Pro-Am entry in the Great American Beer Festival. I was able to attend the festival and pour my beer for the crowd. However, the best part happened when a restaurant in my hometown of Leavenworth, Washington, purchased some kegs of my porter from Pike. The restaurant had a release party and I was pouring pints. At the event, a couple looking to open a brewery tried my porter and we started talking. They hired me as their head brewer. Icicle Brewing Company has been open six years and things are awesome! 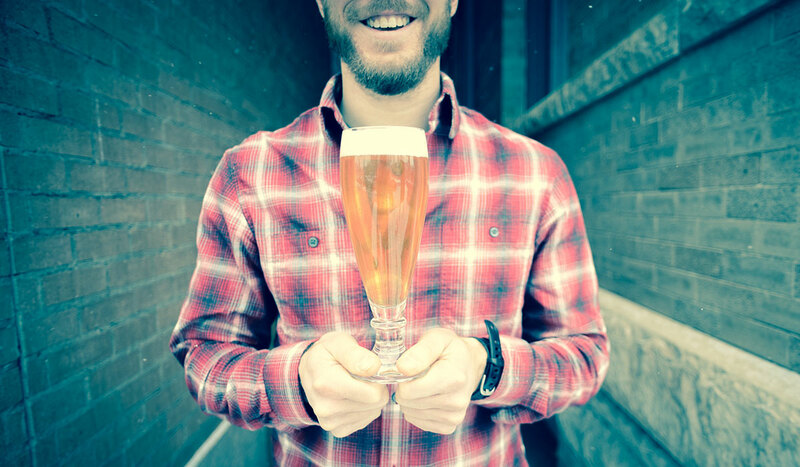 Kurt Randall, Head Brewer at Ska: I had just moved to Denver and the only job I could find was mowing lawns in the southwest corner of the city. I saw an ad in the Denver Post basically stating entry level position at Flying Dog Brewery. I called in sick to my lawn mowing job so I could go to the brewery and apply. After waiting in line, I finally made it inside and spoke with Kelly Bearden, their office manager at the time, and was sent into the office to speak with Ryan Fox and Paul Marczyk. They went through the normal interview process asking me if I had ever brewed before, if I had any experience driving a forklift and a few other things. I thanked them and Kelly for their time and went to enjoy the rest of my day off. Luck was on my side! I was polite and it paid off. I spent five years working at Flying Dog before they moved to Maryland. I started on packaging and worked my way up to Head Brewer. I was the last Flying Dog Head Brewer in Denver. That was over 13 years ago and I still love what I do, and I still thank Kelly for getting me my first brewery job. Danielle Schuler, Quality Manager at Fargo Brewing: I feel like some pretty serious luck got me to where I am in the brewing industry. I was studying food science at North Dakota State University and was accepted into a research fellowship program during the summer of 2014. What I didn’t know was that one of the professors in the program had recently been contacted by the Fargo Brewing Company (FBC) asking for assistance to set up their quality lab. As someone who was just getting into the craft beer scene, I jumped at the opportunity to learn more about the science of making beer. After the fellowship ended, I was hired on part-time until I finished my degree. It’s now three years later and I’m running the quality lab full-time, and couldn’t imagine a more satisfying way to make a living. 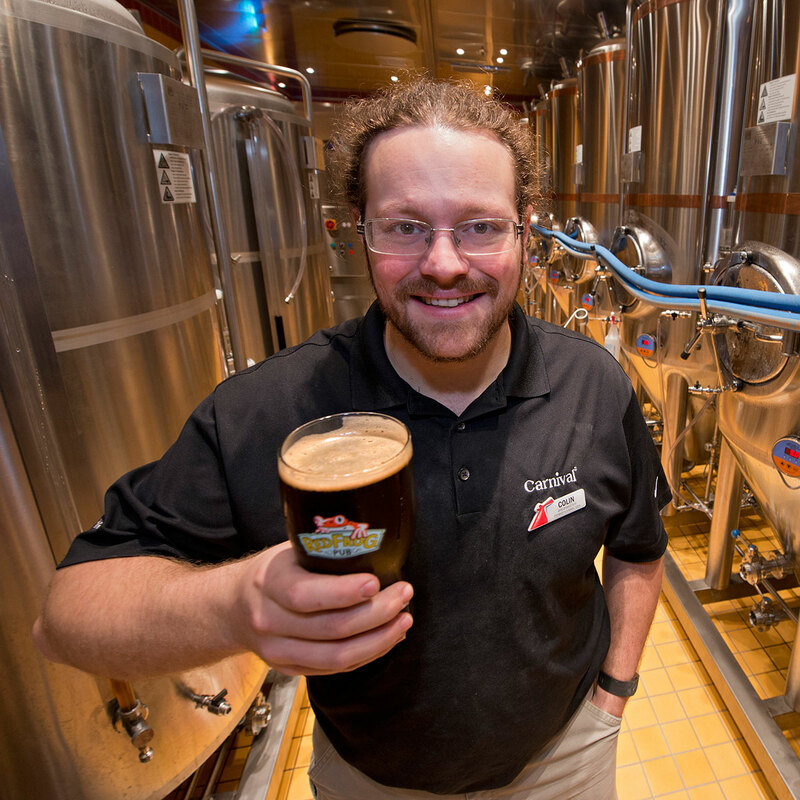 Colin Presby, Brewmaster on Carnival Vista: In 2009 I was working as a large animal veterinary technician treating horses, sheep, goats, llamas, and alpacas. The practice was growing and one of our new clients was Dan Weirback, owner of Weyerbacher Brewing Company in Easton, Pennsylvania. On a routine farm call, Dan and I started talking beer. I was an avid homebrewer and very interested in the beer scene. 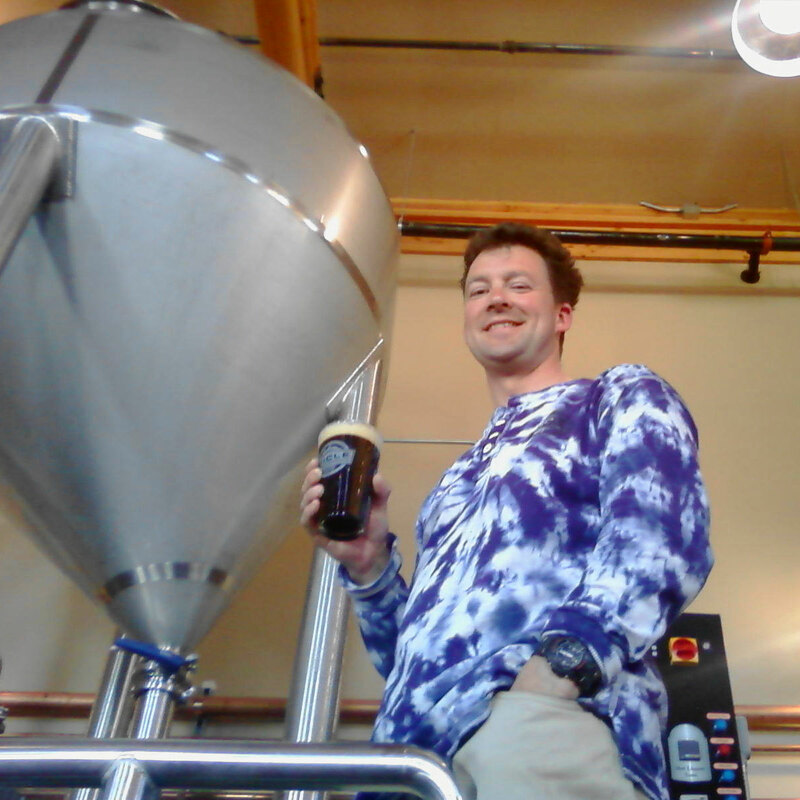 Weyerbacher was growing rapidly and Dan needed help with festivals from time to time. It was a great fit! Before too long that turned into part time work on the bottling line and then a full-time job as a cellarman. Now, I’m the brewmaster for Carnival’s Vista. 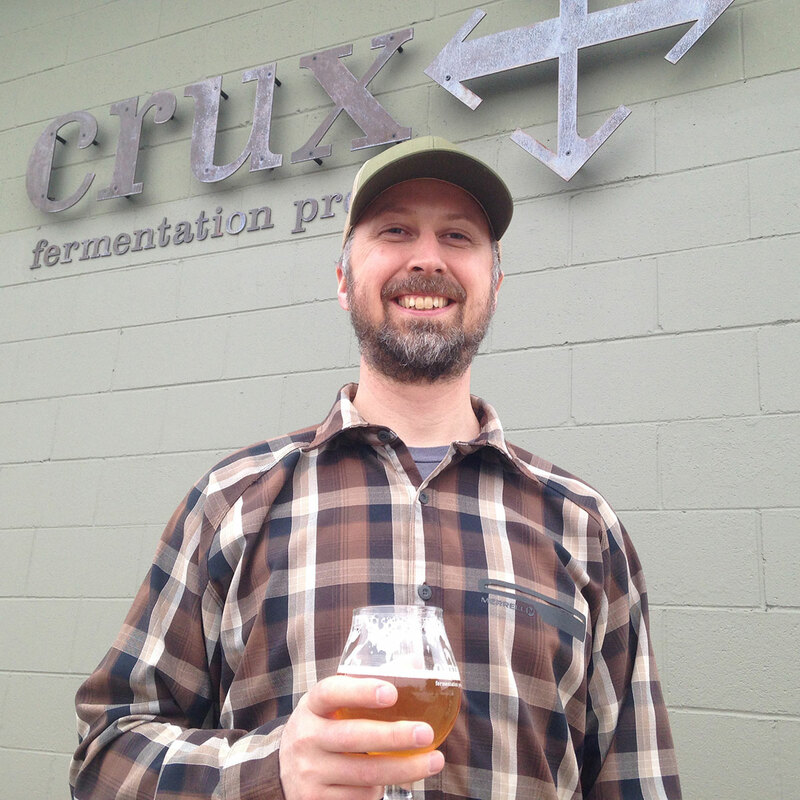 Jason Randles, Branding and Marketing Manager at Crux Fermentation Project: When I moved to Bend, Oregon, in 1999 the only thing I knew about the town was it was the home of Deschutes Brewery. When I turned 21 in Seattle a few years before that, a friend gave me a six-pack of Black Butte Porter and I was hooked. Three months after moving to Bend and trying to find a job I said, “Wouldn’t it be cool to work for Deschutes?” I turned in an application and they just happened to be hiring. I started answering phones at the front desk and ordering branded shirts. I worked my way up to digital marketing manager and had a fun 17-year run. Now I’m leading the marketing efforts at Crux Fermentation Project and still having a blast. 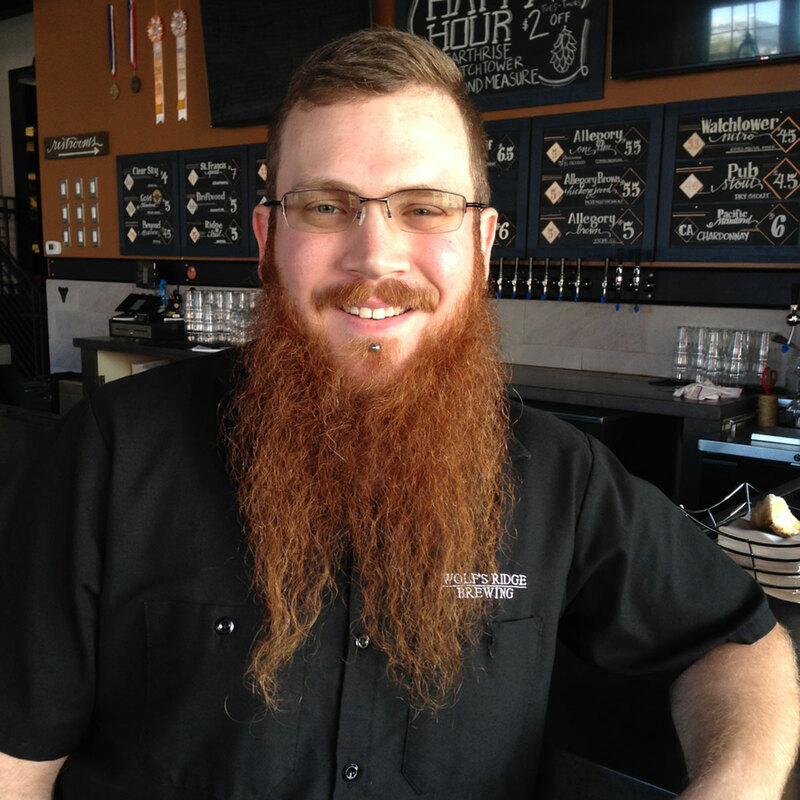 Chris Davison, Head Brewer at Wolf’s Ridge: I am from Columbus, Ohio. Before I was a professional brewer I spent roughly two to three years applying to various breweries. At the time my wife and I were open to moving and I was unhappy with my current job. I figured that if I was going to get into a brewery I needed to be part of a larger beer scene. 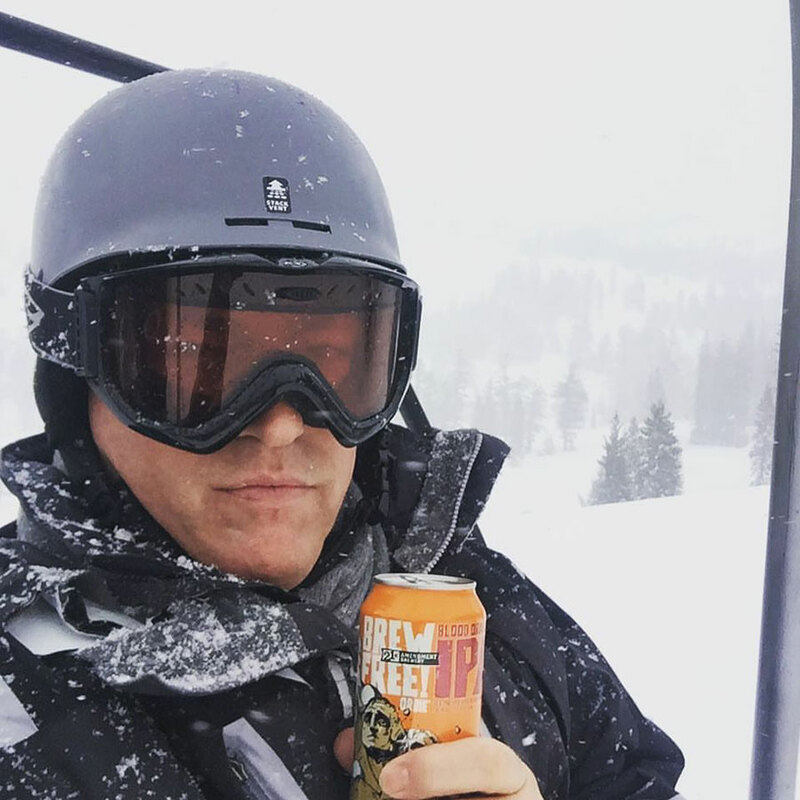 Knowing that Colorado was not only a beautiful state but one of the most saturated beer states, I applied for a transfer with my company to get closer to the beer. Little did I know that they only accepted transfer requests for educational reasons. I had already been looking into grad school to try and firm up a true skill set (my undergrad was in Philosophy – like so many other brewers of course!). I settled on an MBA at Colorado State University in Fort Collins. I went through all the testing for grad school and months later applied to CSU. I was accepted and began planning the move. Two weeks later I got a call from Tony Corder at Columbus Brewing Company. He knew I was looking to break into the industry and said that there would be a job opening washing kegs. I was torn — I was geared up for a major life change but the whole point of going back to school and moving was to become a brewer. I decided to take that job washing kegs in pursuit of a sure thing. I got really lucky and was brewing most days within a year. Five years later I’m an award-winning head brewer for Wolf’s Ridge Brewing and still in Columbus. 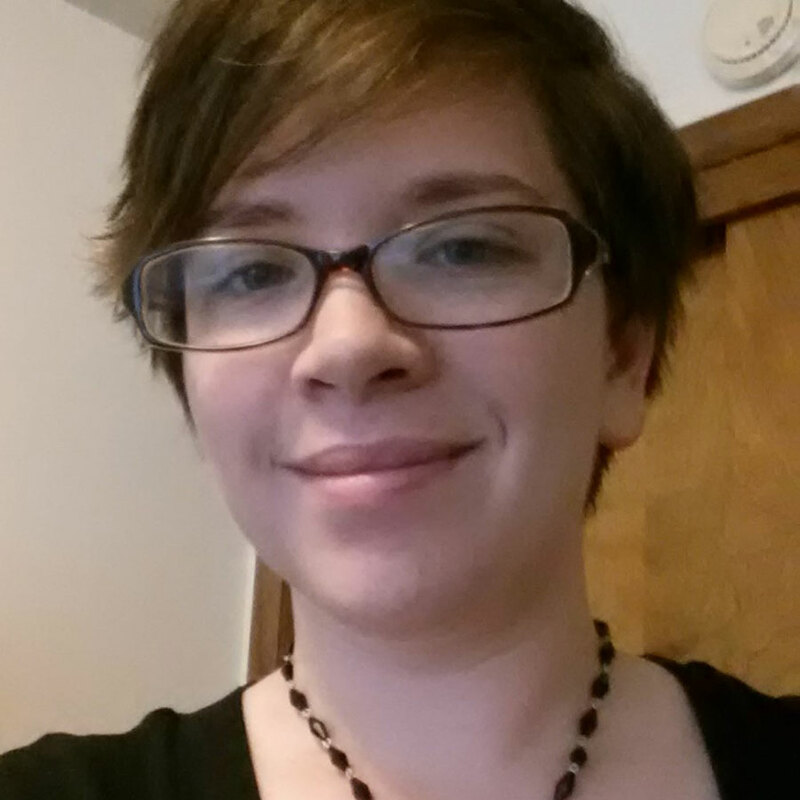 I’m happier than ever and doing exactly what I wanted all those years ago. 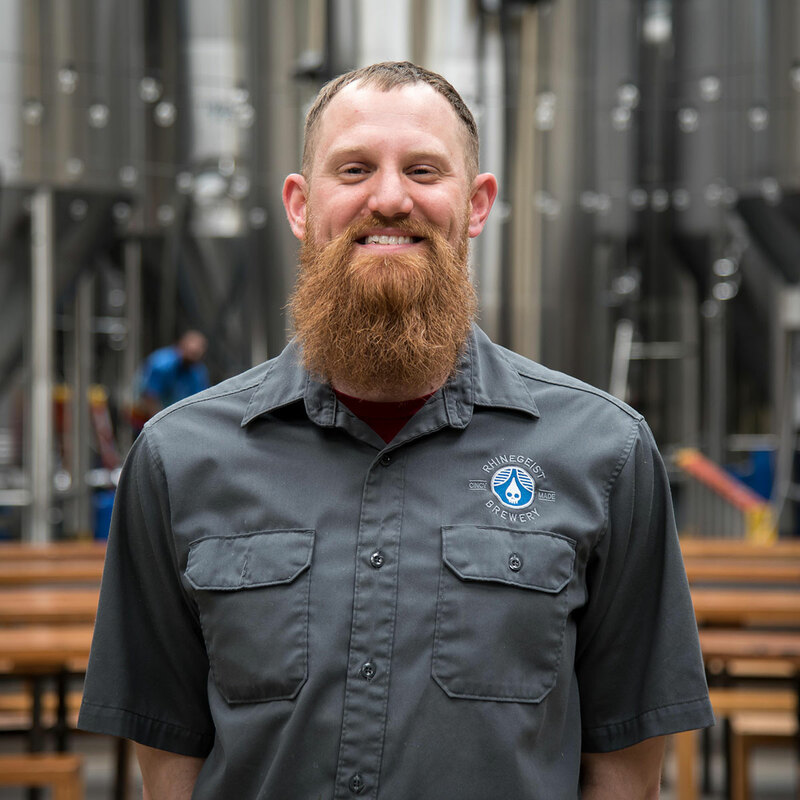 Chris Shields, Brewer at Rhinegeist: My whole career is lucky breaks! Not to say that I haven’t put in lots of hours and worked hard, but I seem to continually find myself in fortunate situations. My start in the industry came after meeting someone on Twitter. I was a homebrewer and major fan of craft beer and always found myself tweeting to another beer fan (@topfermented) in the area. One day we ended up at the same event and met in person. We hit it off and became close friends. We brewed a bunch of beer together and fell in love with the North Carolina craft beer scene and talk about going pro. Fast forward a couple years and Erik starts up Mystery Brewing Company and asks me if I want to quit my day job and join him in making the brewery a reality. I did. As fate would have it, two years ago I left Mystery to follow my amazing wife for an opportunity in Cincinnati, Ohio (where we knew exactly zero people). So of course, I used the amazing community of craft brewers and put the word out to everyone I knew that I was looking for somewhere to land in Cincinnati. I made two particularly lucky connections. First, a former cellerperson at Mystery along with another North Carolina brewer nearby had worked with the lead brewer at Rhinegeist when all three of them lived in Michigan. Second, I managed a connection through the BA Safety Subcommittee which put me in touch with Jim Matt, the head brewer. With those connections, Rhinegeist was willing to bring me in (despite not having an open position), and as luck would have it, the new expansion brewhouse had just arrived. I joined Rhinegeist and could not be happier to be a part of such an amazing team. Shaun O’Sullivan, 21st Amendment Co-Founder: I had several careers in my 20s, as a photographer for a weekly, working at CNN as a producer and a legal assistant at a large corporate law firm. I thought I was headed to a career in law/business and was applying to law and business schools when around that time I took up homebrewing. 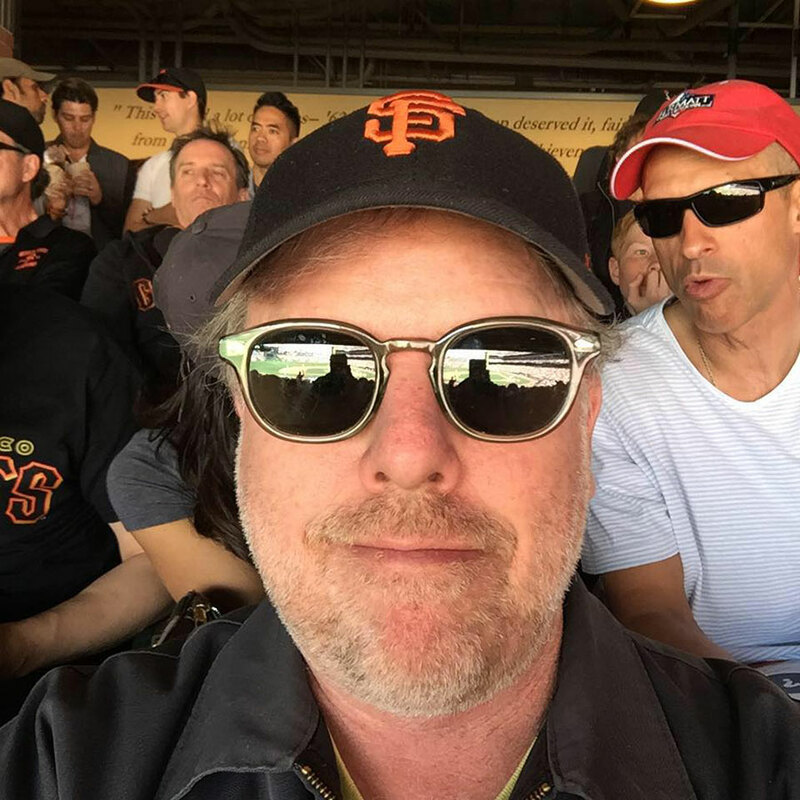 I was exposed to craft beer and enjoyed the likes of Redhook ESB, Pete’s Wicked Ale and Anchor Steam as well as Sierra Nevada’s beers in the parking lot while checking out Grateful Dead shows in the Bay Area and really fell in love with craft beer. I decided to pull up stakes and move to the Bay Area with hopes of becoming a brewer. I moved to Berkeley, California, just over the bridge from San Francisco and frequented Triple Rock Brewery which was just down the street from my home. I managed to talk my way into coming in and brewing. I met Sandy Savage, the head brewer, and Sean Donnelley, the assistant brewer, that day. Sean would then invite me in, essentially interning, to help out with whatever he was doing in the brewery. When a position opened up I approached the two owners of Triple Rock, Reed and John Martin and asked if they’d hire me for the assistant brewing position. I got the job, and that was the break that set the stage for everything that came after that. I never knew back then that he was indeed right. Now that is one lucky break. 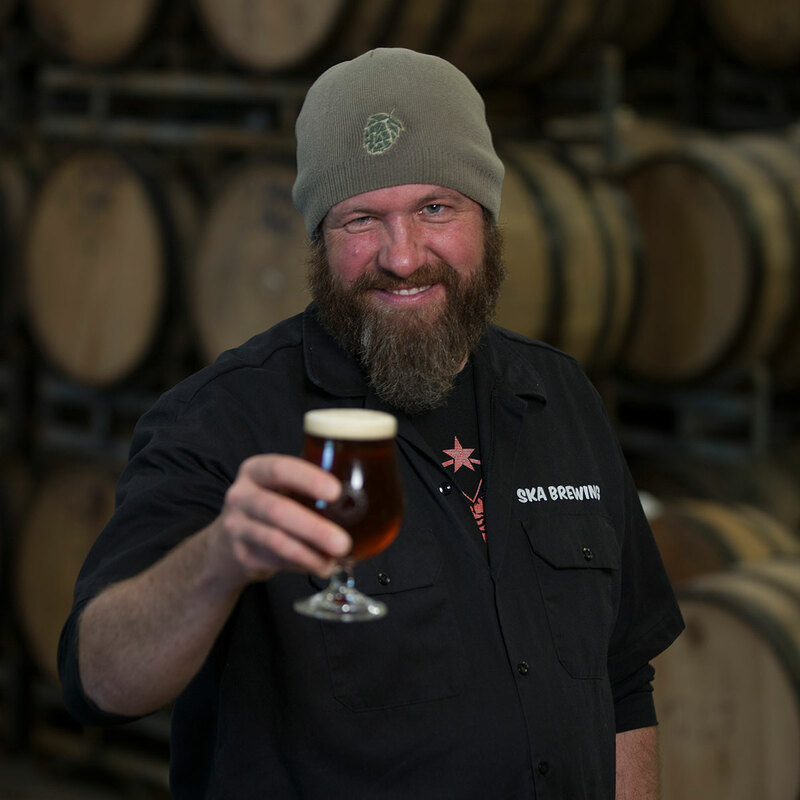 Nico Freccia, 21st Amendment Co-Founder: I moved from LA to San Francisco in the fall of 1994 because I wanted to be closer to the craft brewing business. I had been waiting tables and managing restaurants in LA and had become an avid homebrewer. I wanted to break into the craft beer world and San Francisco was the epicenter. Tom called me and said he enjoyed the article and was actually looking for someone to be the Bay Area correspondent for the Celebrator so he could spend more time working on other facets of the paper — and would I like the job? I calmly offered that I would love to and thanked him and hung up the phone. Then I started dancing around the room and fist pumping. I felt like a cub reporter fresh out of journalism school that had just gotten offered a job at the New York Times. This was my big break and for the next several years I traveled around the bay area and beyond, meeting the people in the craft beer world, seeing their breweries, talking about their beers, eating their food. It drove me to want to start working on opening my own brewery someday.